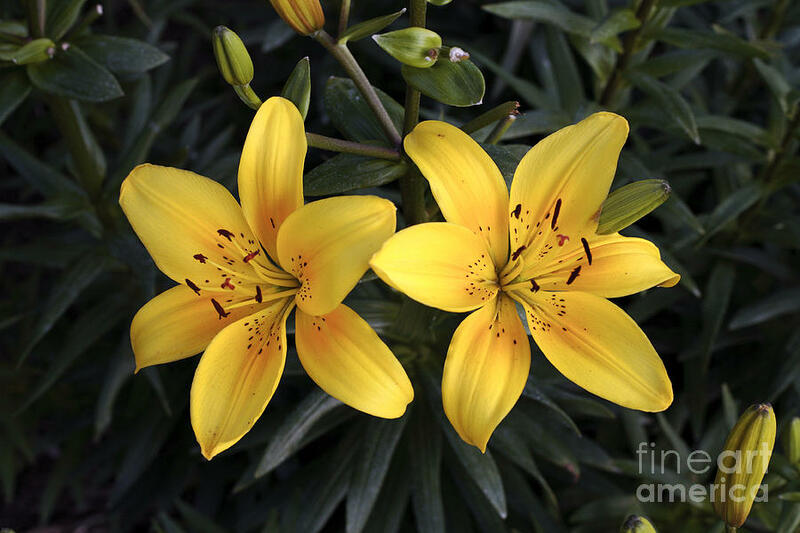 Pair Of Yellow Lilies is a photograph by William Kuta which was uploaded on October 7th, 2010. Yellow lily blossoms sit side by side. William, Great capture of these Gorgeous Yellow Lilies with nice details and light, V in Something Yellow Contest and L.
Thanks - this is one of photos we have up in our own home, in a grouping with three othes.